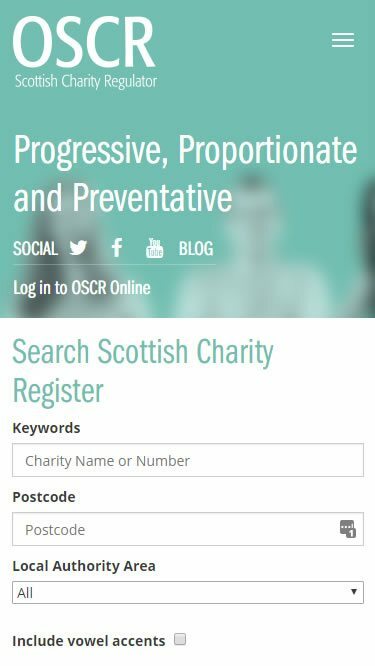 We have worked with the Office of the Scottish Charity Register since 2013 and provide them with website and digital support services. 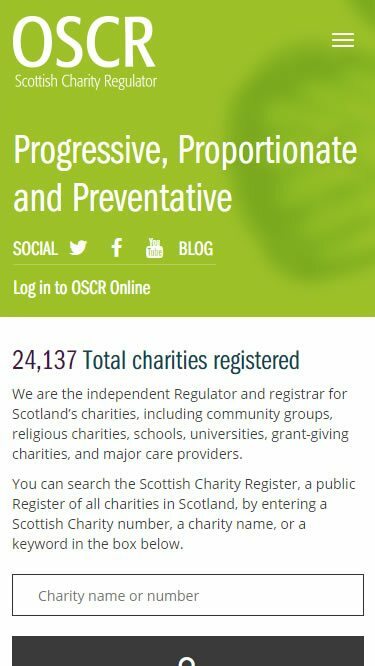 Our remit covers all activity on the website and includes the integration and operation of the public access Scottish Charity Register. 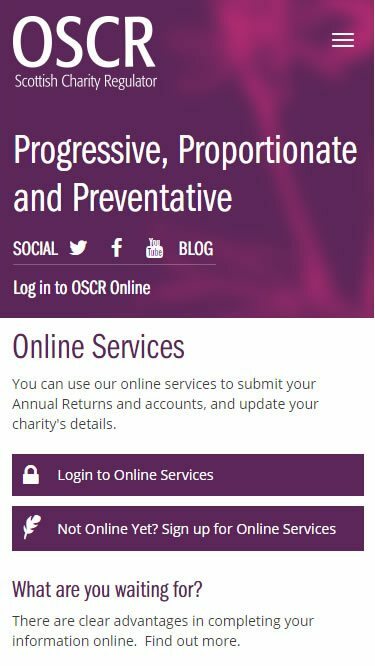 The website was created to help users find relevant information quickly and efficiently on any device and avoid issues with charities using public information and vice versa. The information architecture set-up has helped solve these issues resulting in 50% less calls for information since the website was launched.